The sophisticated technology and high quality materials of the modern pellet heating systems from ÖkoFEN, guarantee an efficient performance. The pellet heating systems from ÖkoFEN consume few resources and reduce your heating costs by up to 50 percent. Thereby, you protect not only the environment but also your wallet. 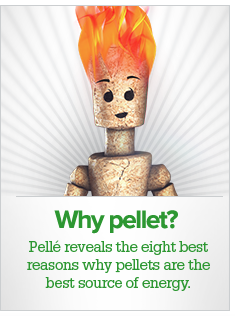 With ÖkoFEN pellet heating systems, eco-friendly heat and confort everytime - for generations.